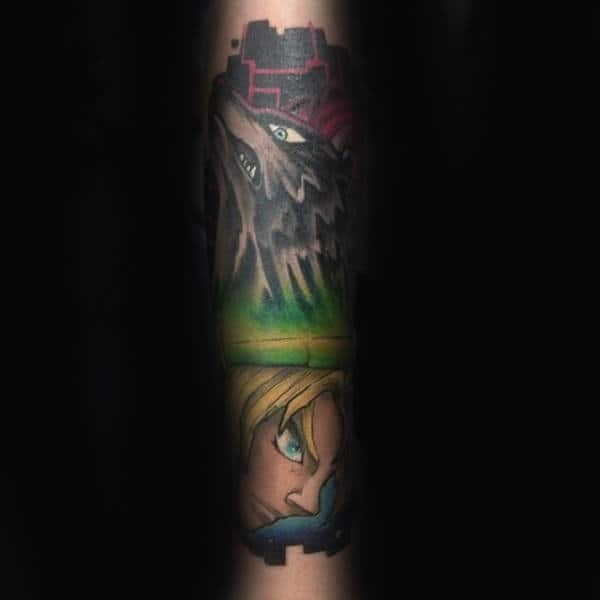 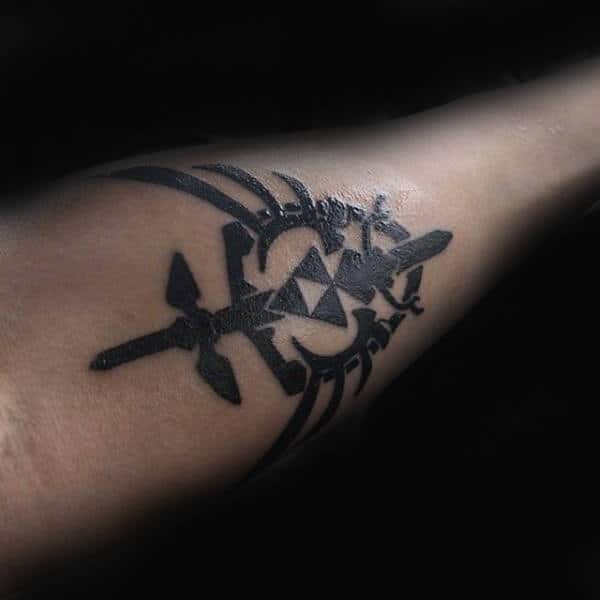 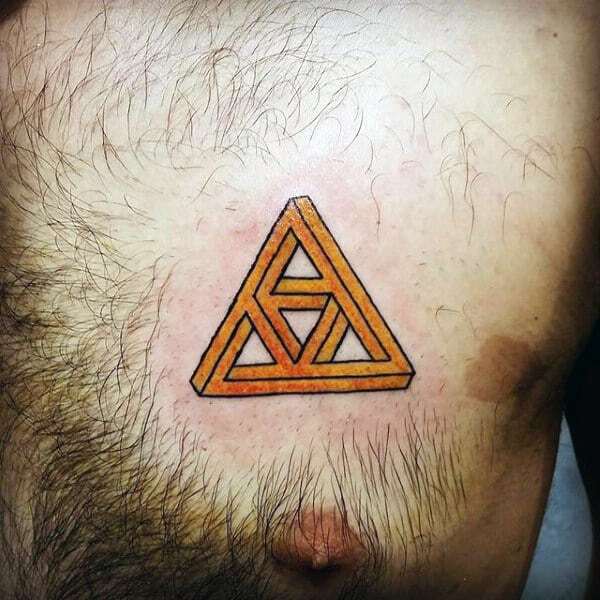 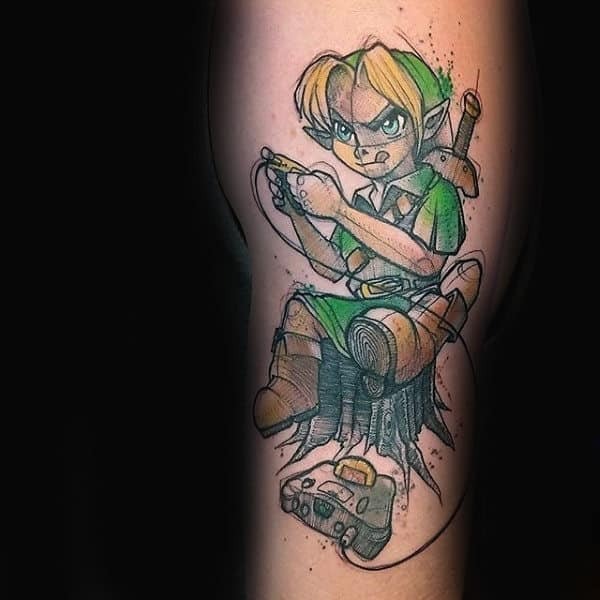 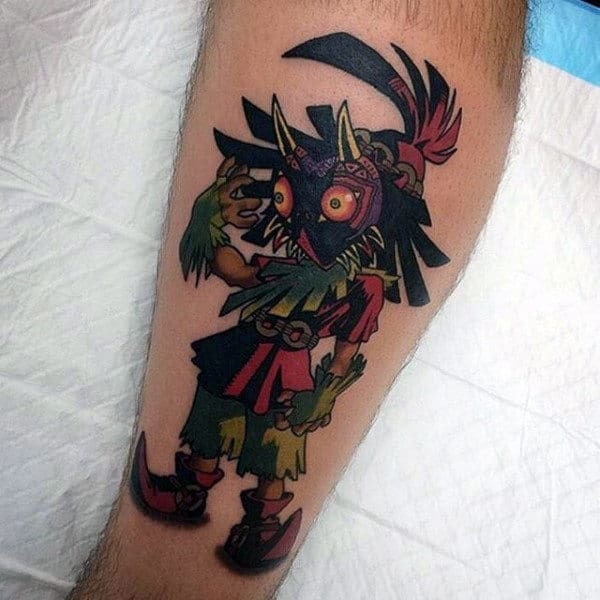 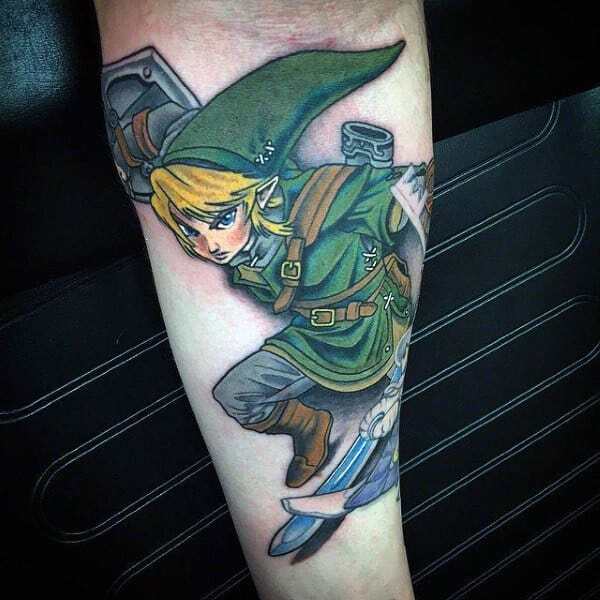 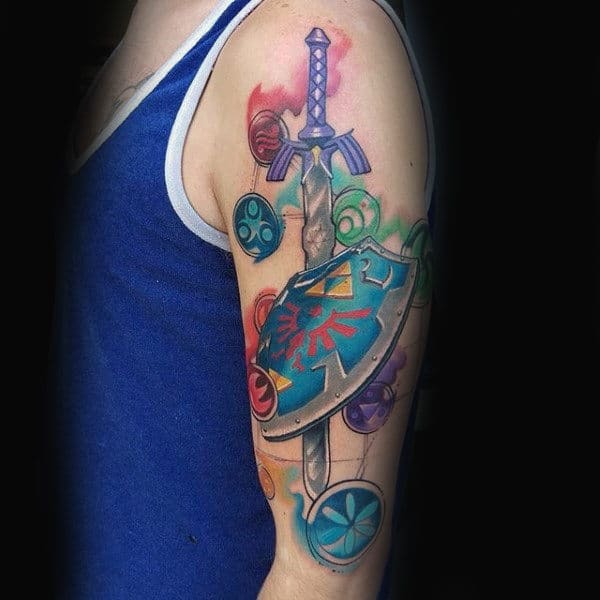 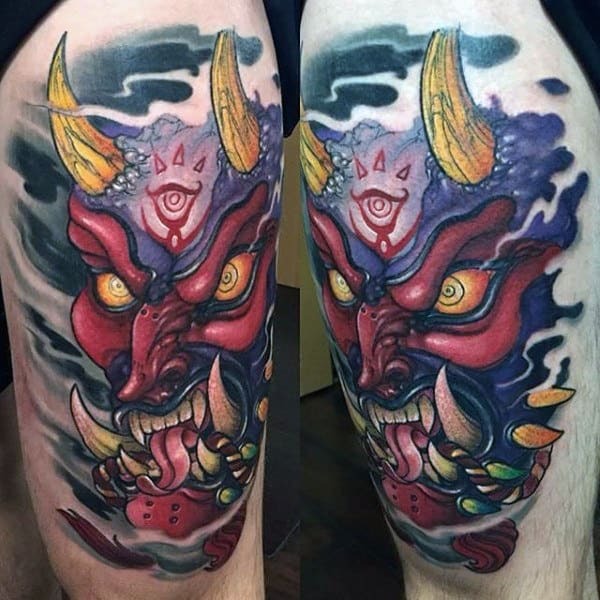 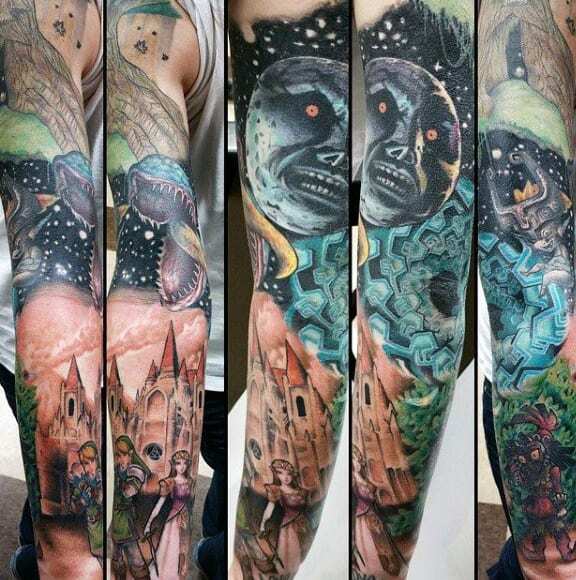 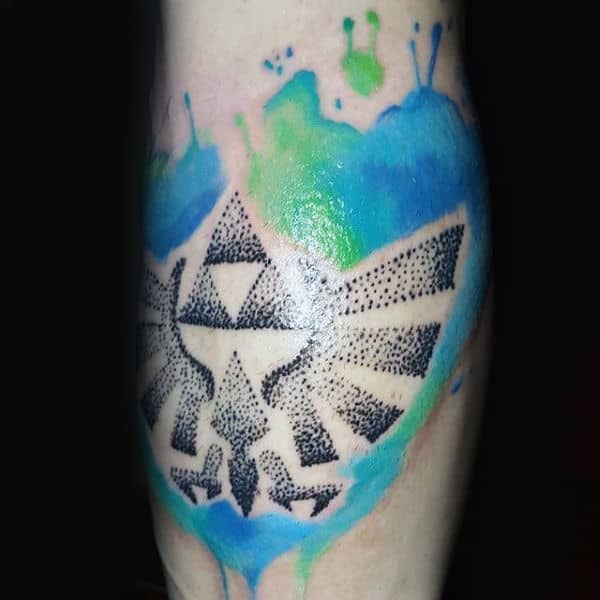 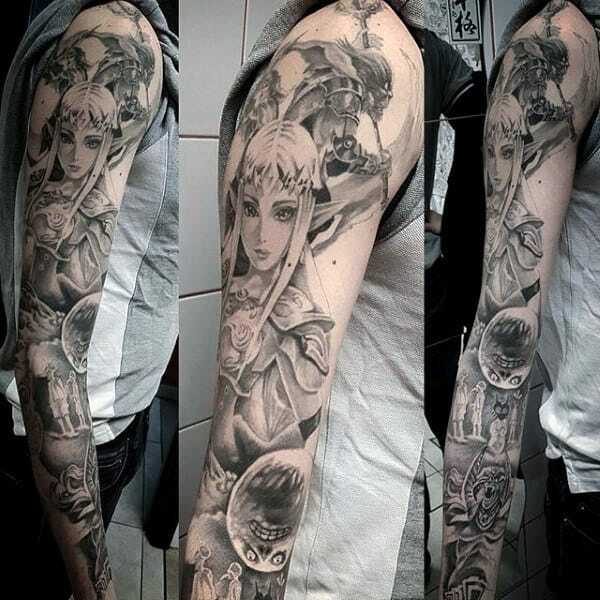 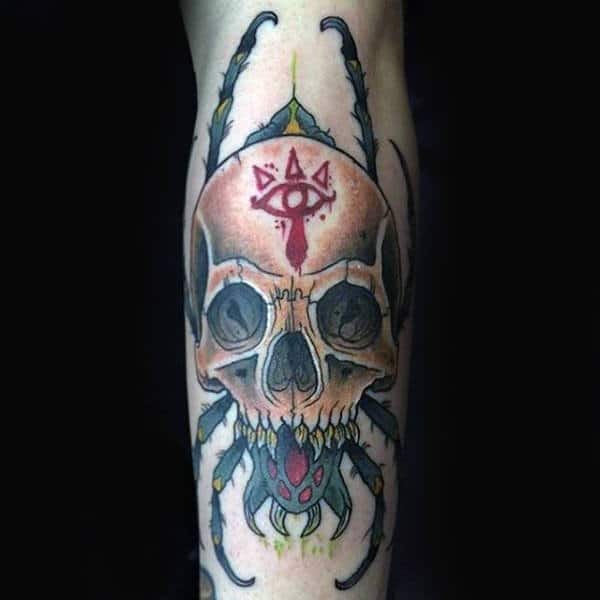 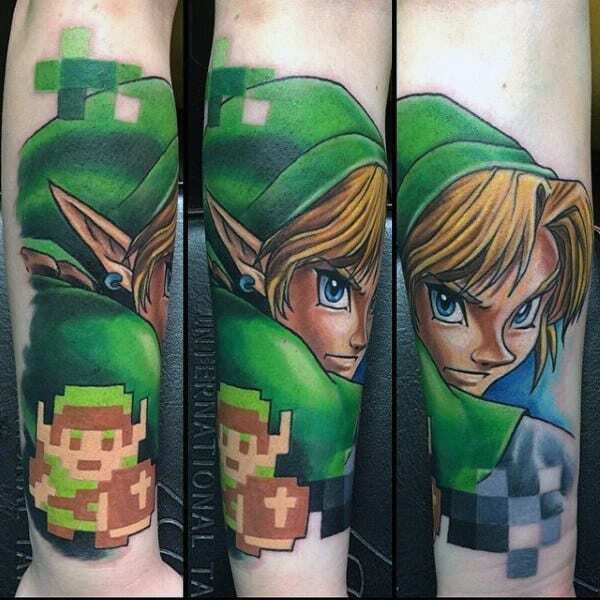 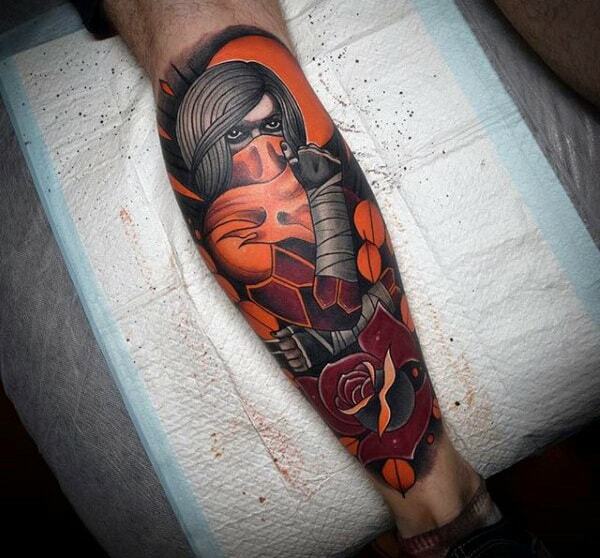 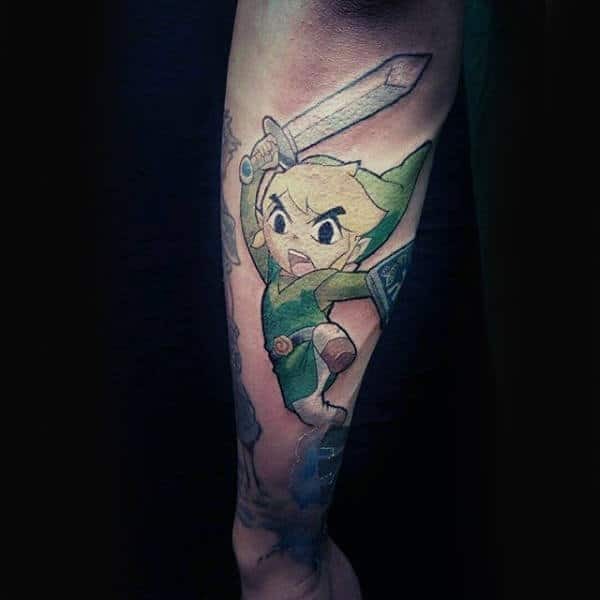 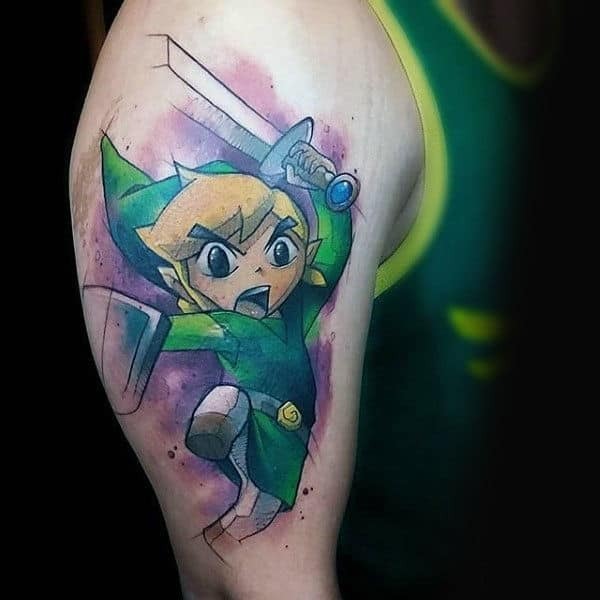 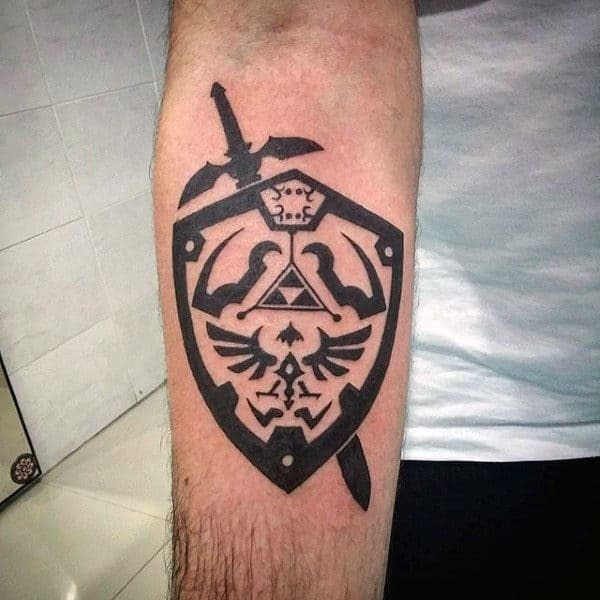 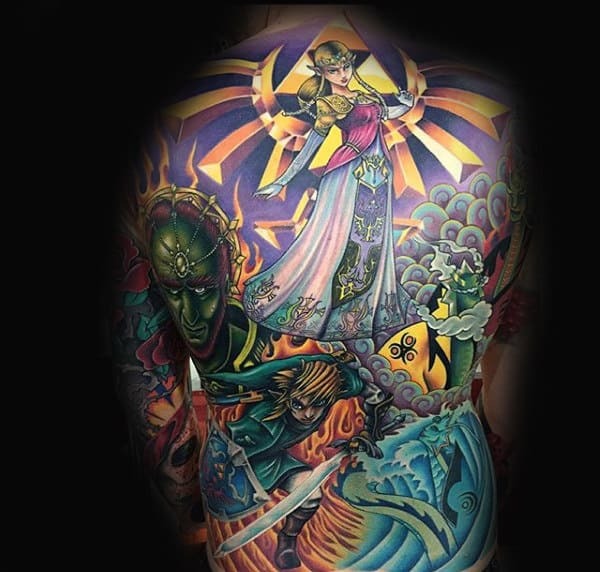 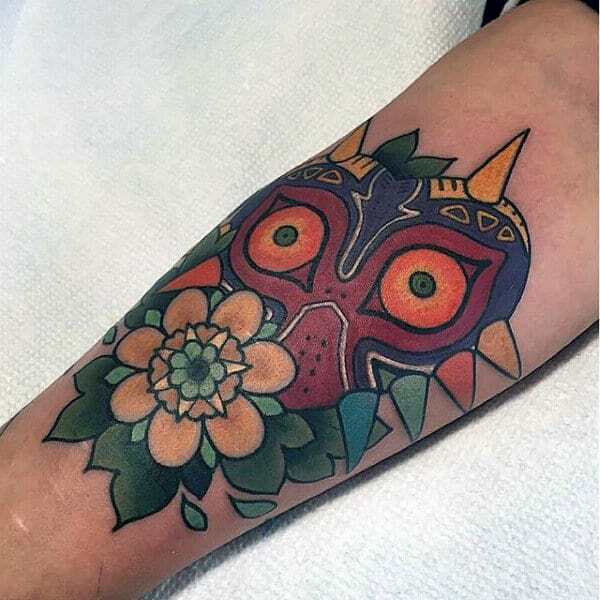 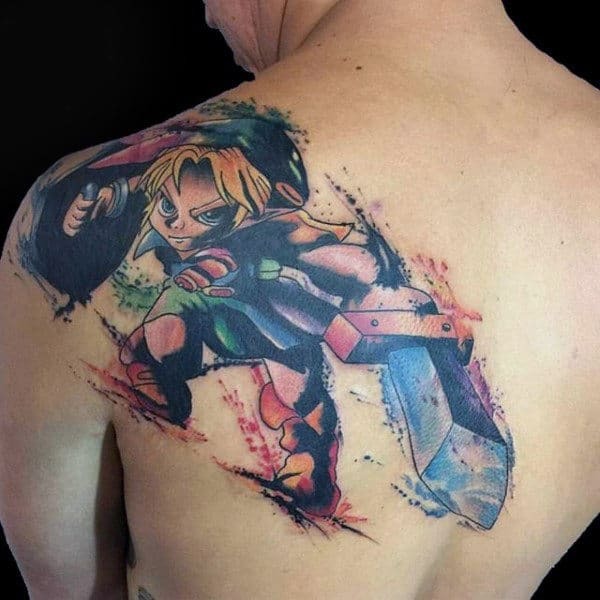 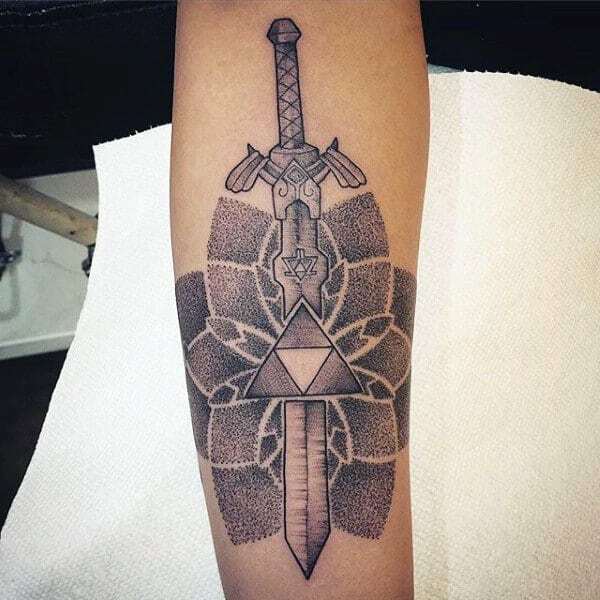 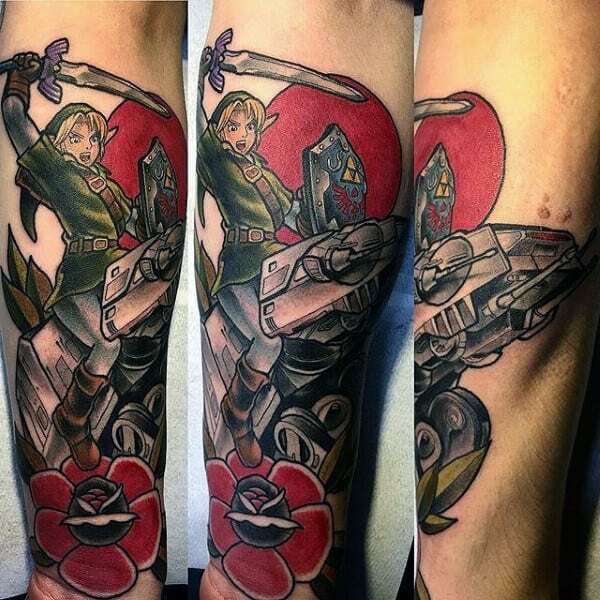 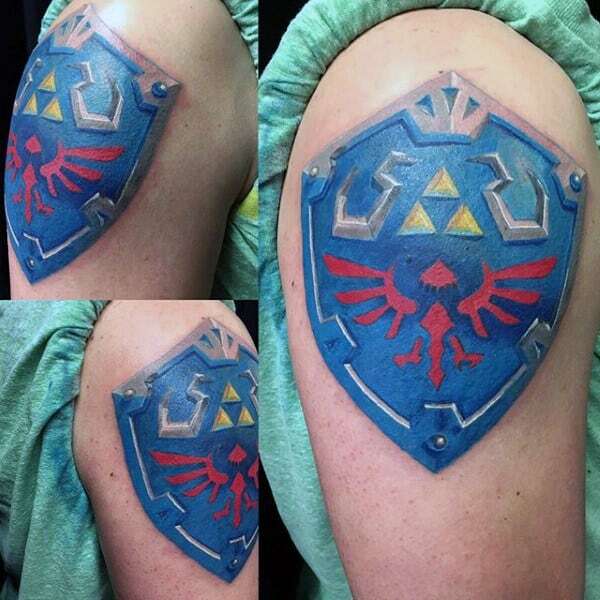 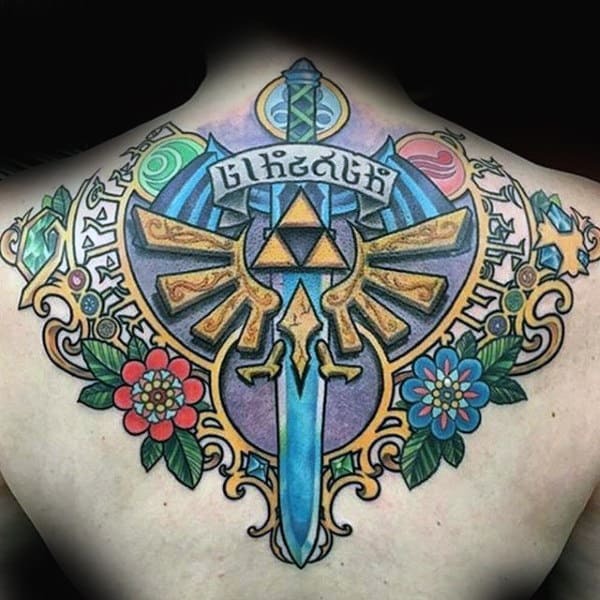 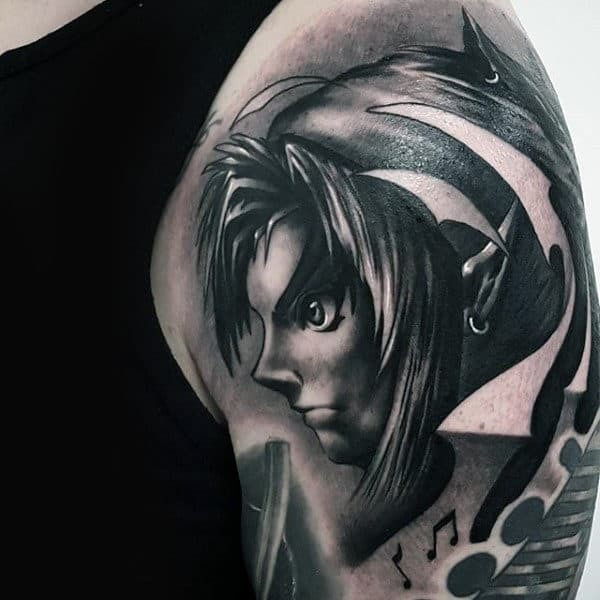 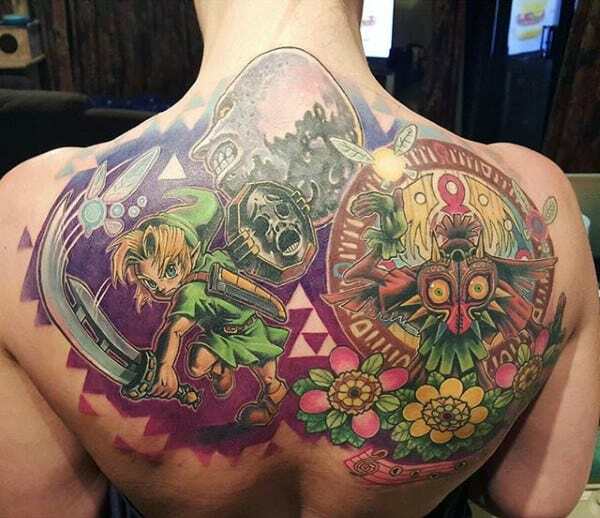 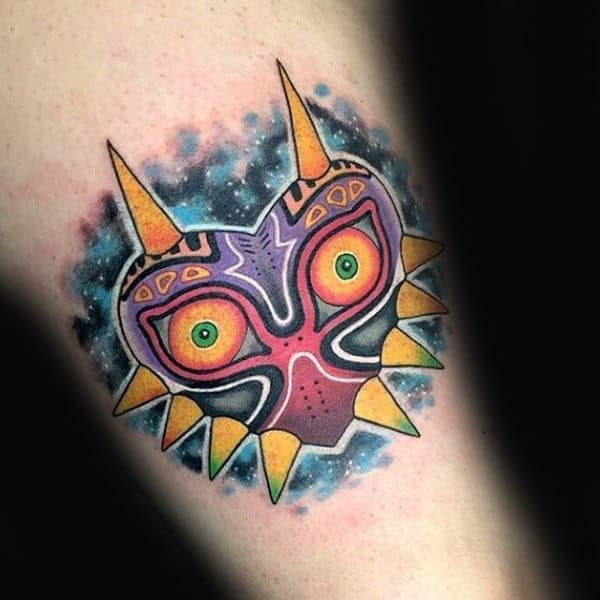 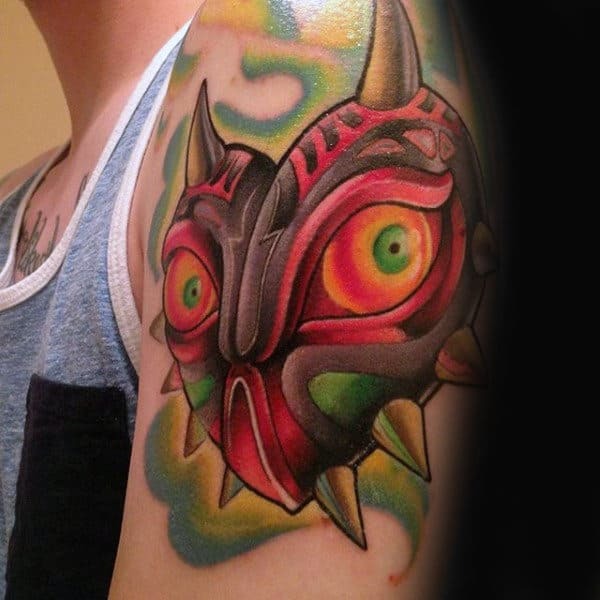 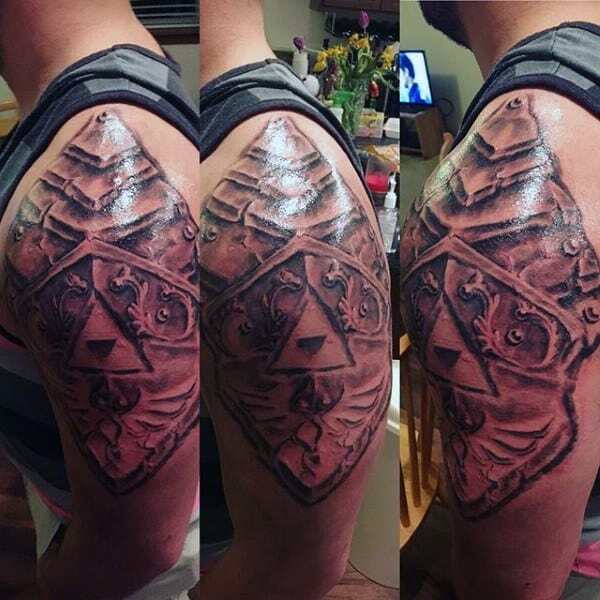 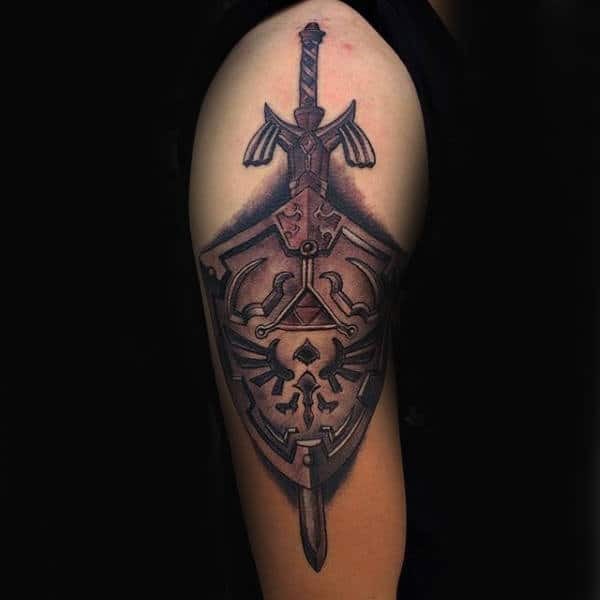 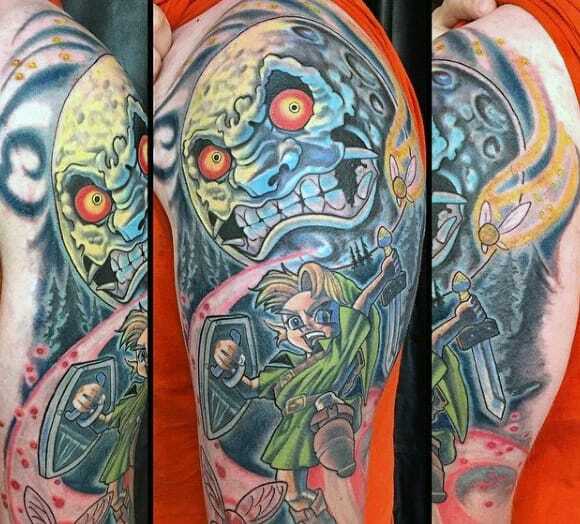 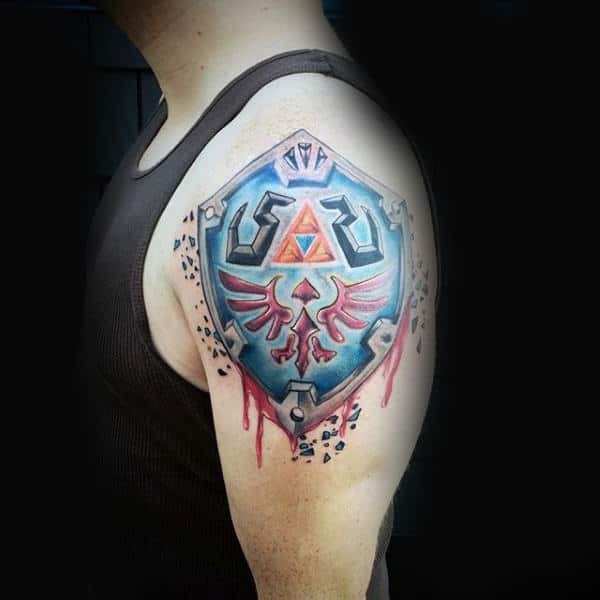 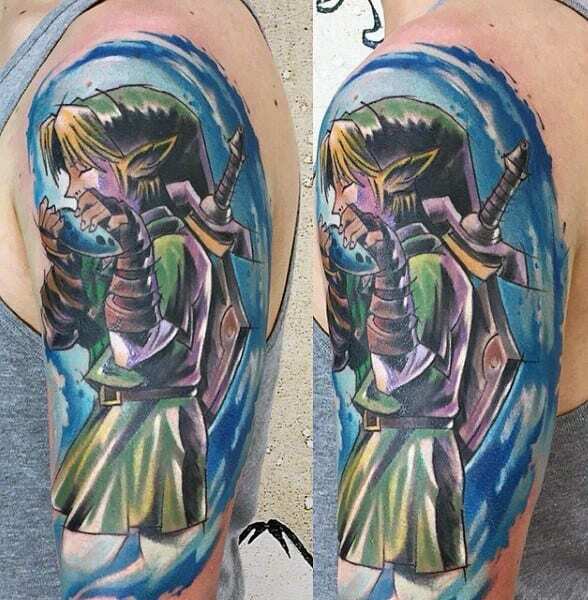 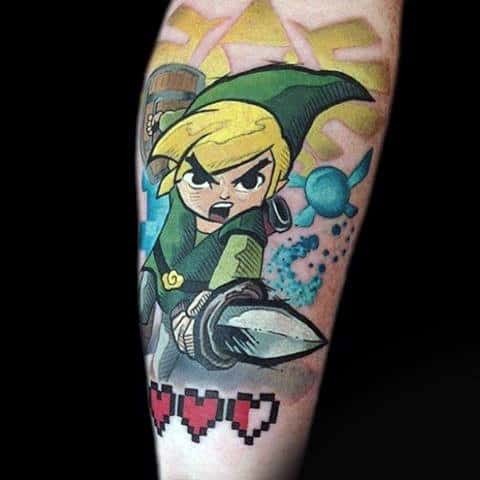 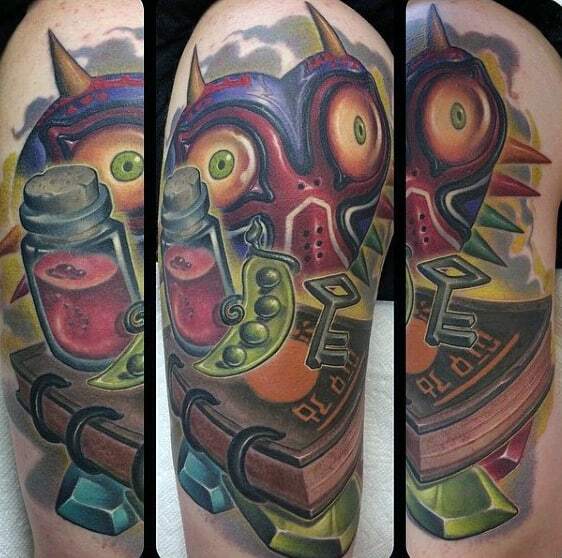 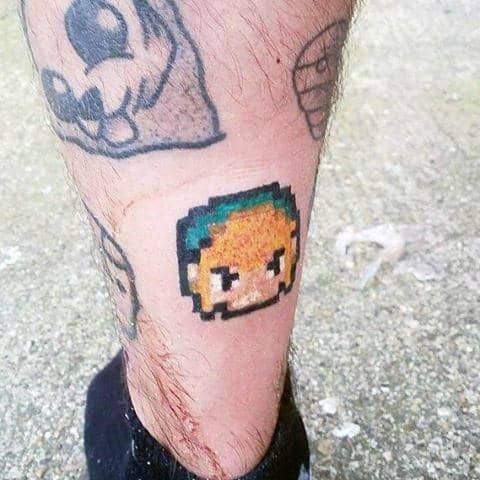 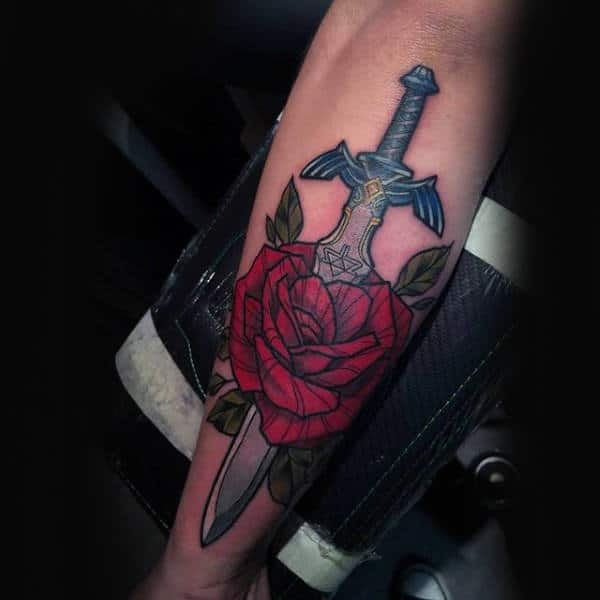 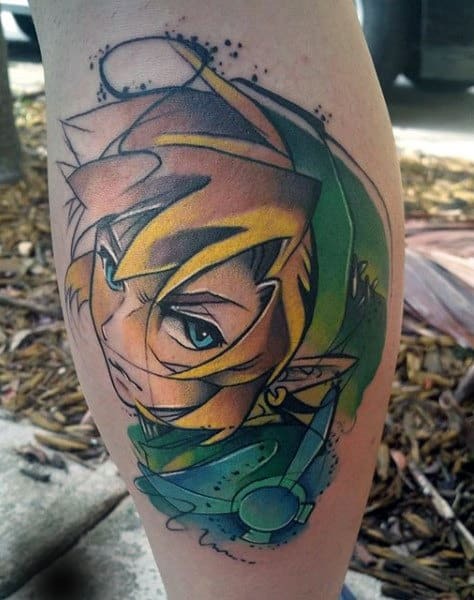 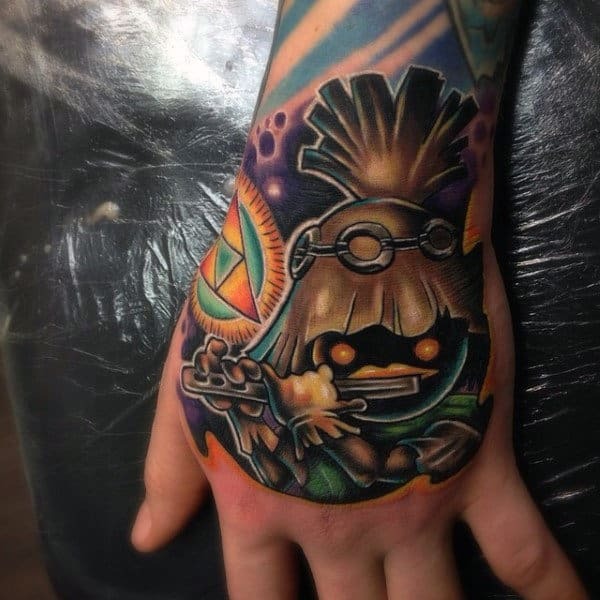 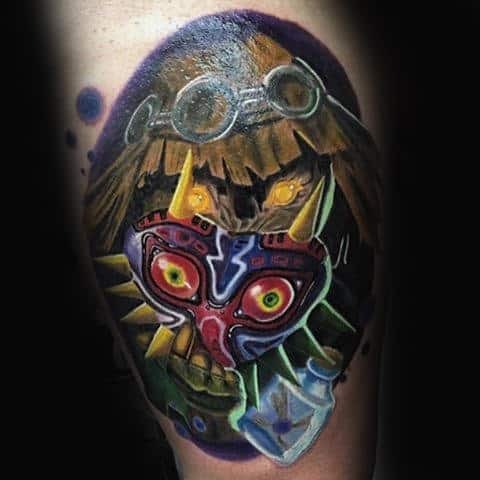 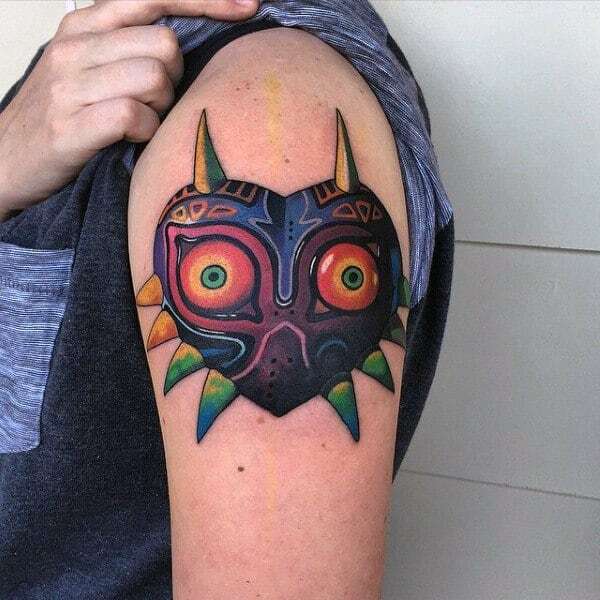 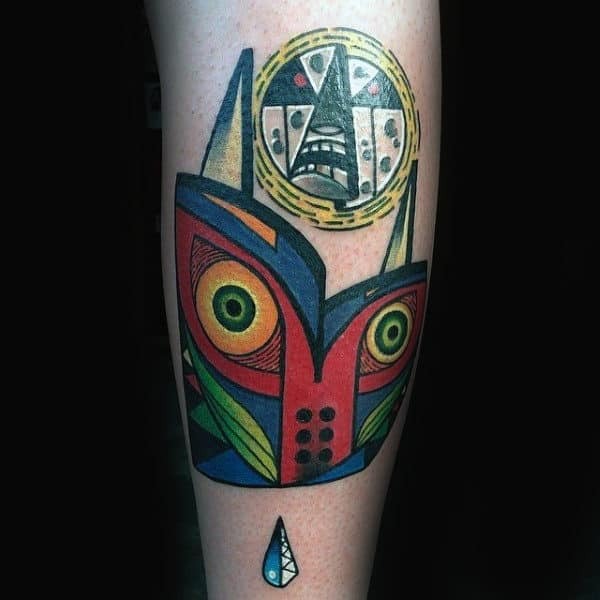 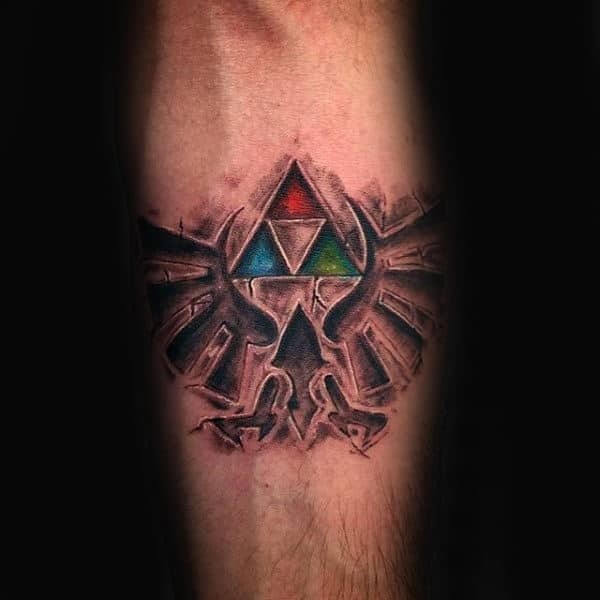 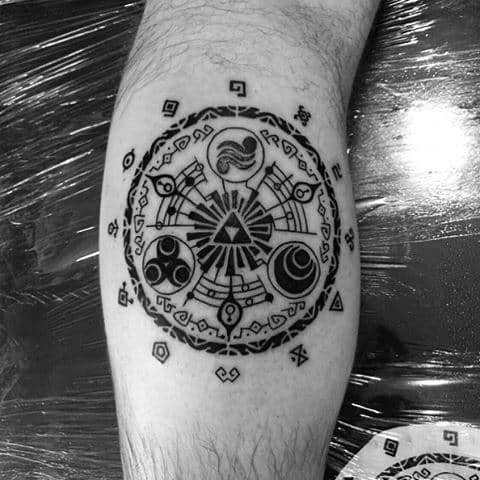 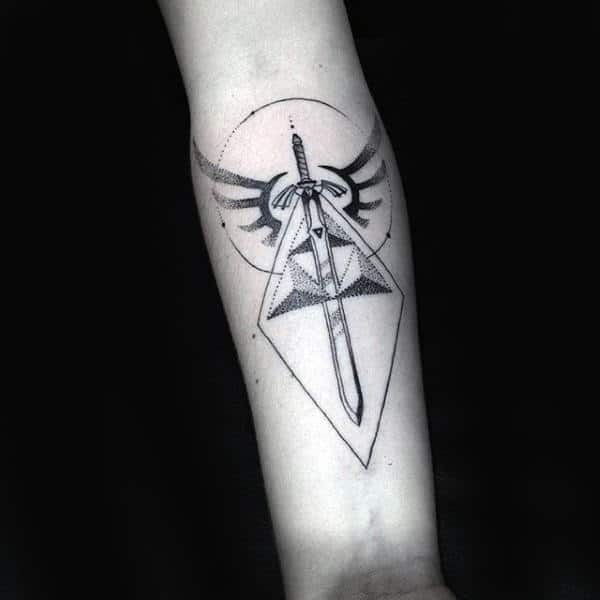 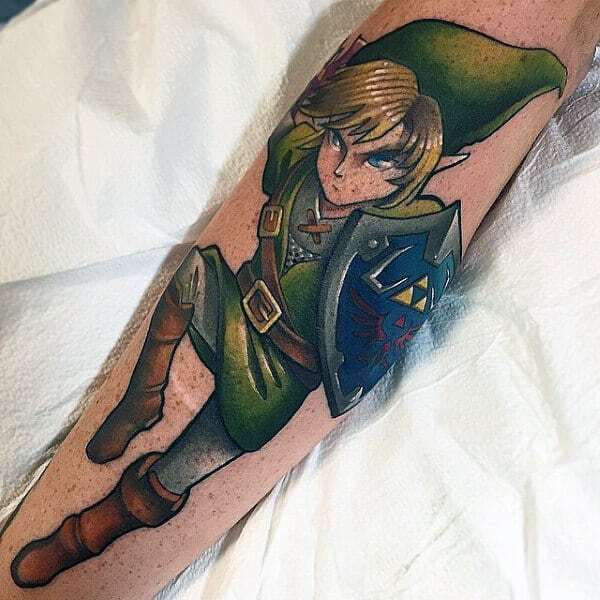 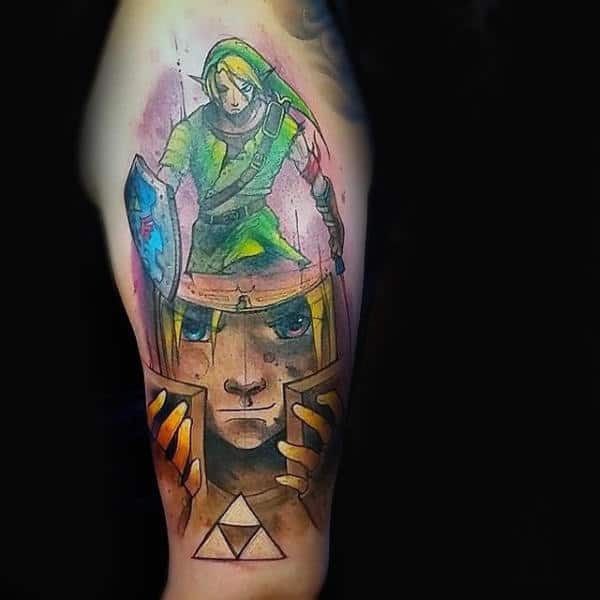 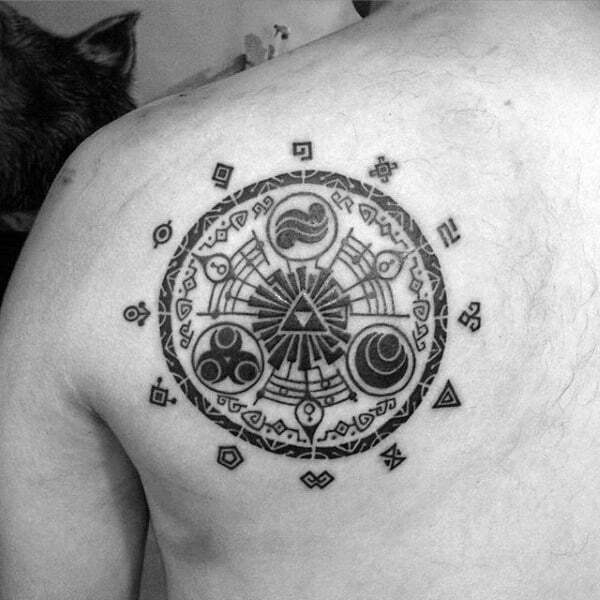 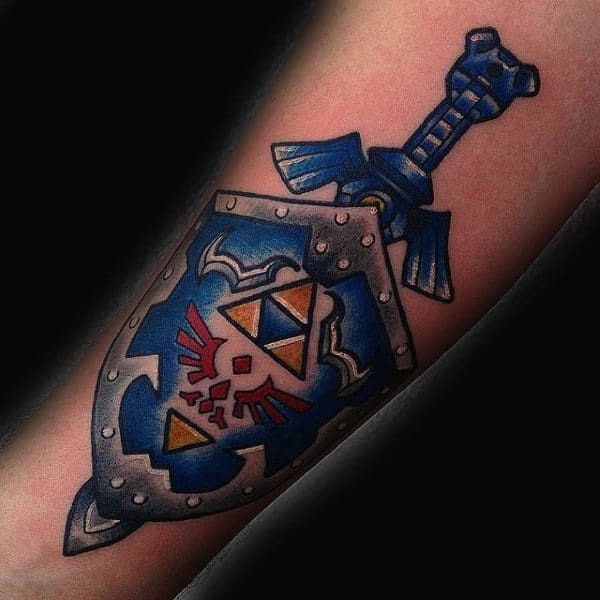 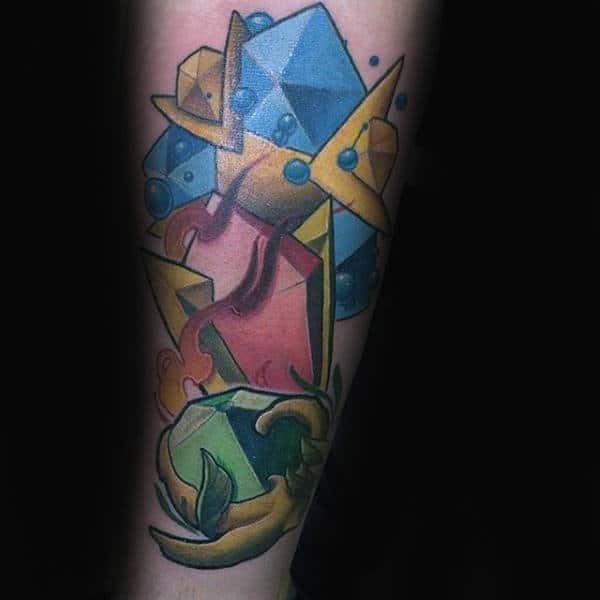 Zelda tattoos grant immense mystique to legions of Nintendo players everywhere. 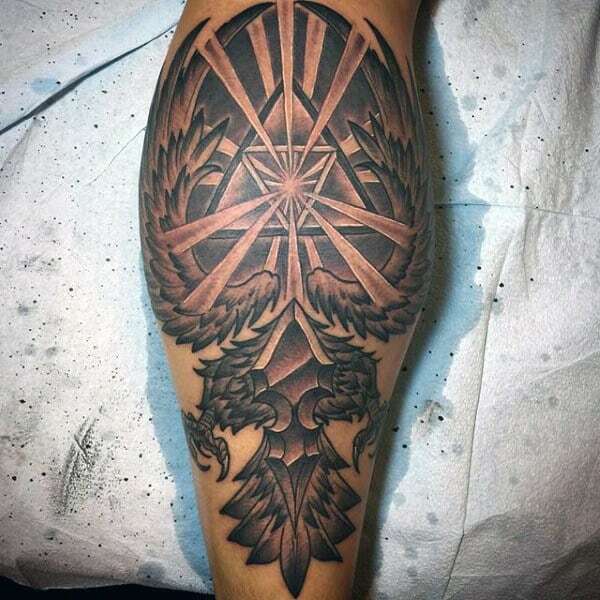 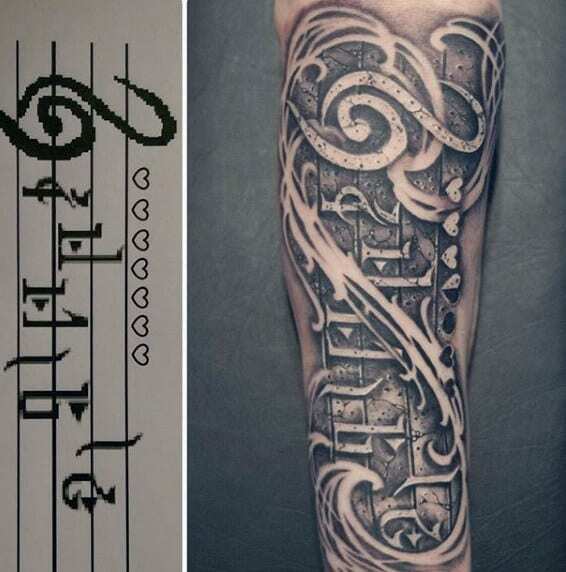 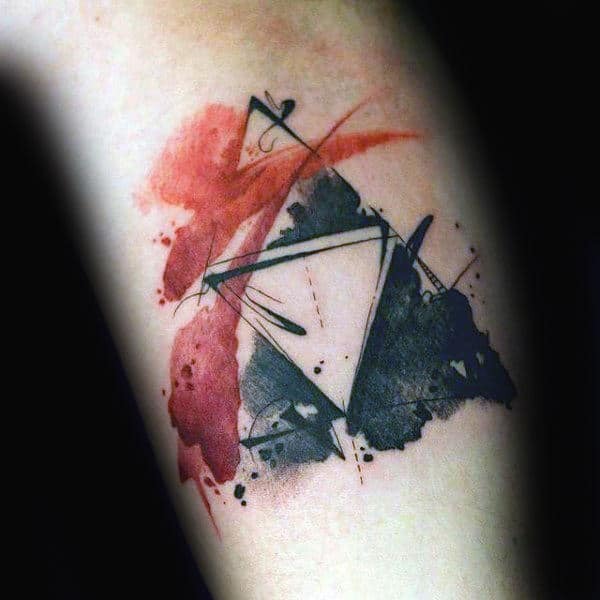 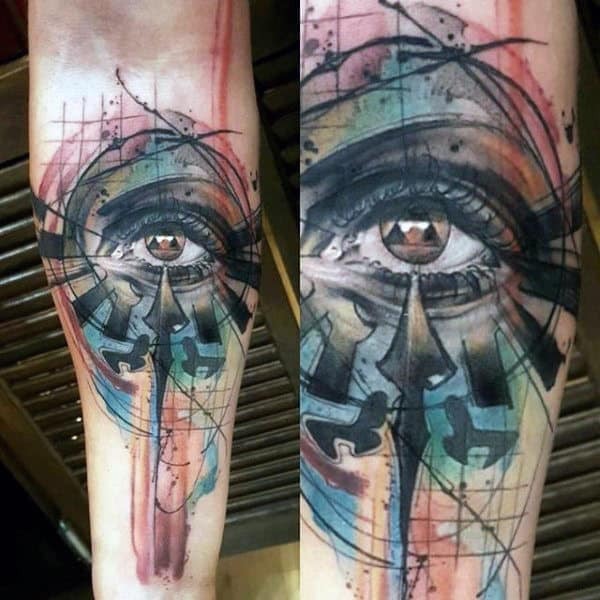 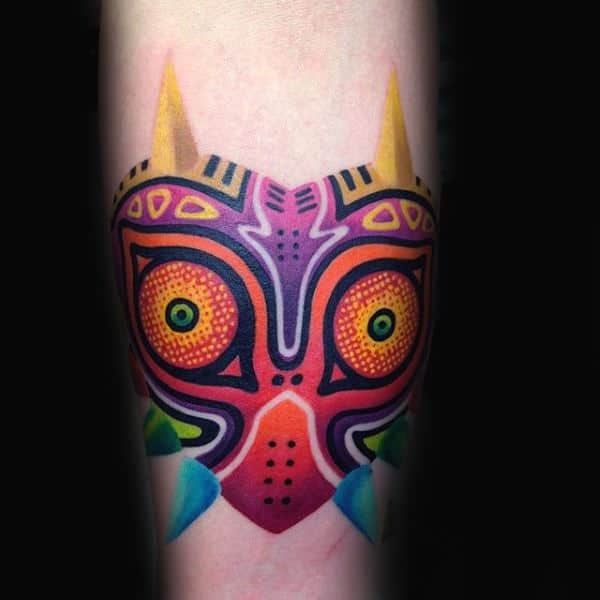 This infamous series lends itself to amazing manifestations of body art that strikingly appeal to avid gamers and casual fans alike. 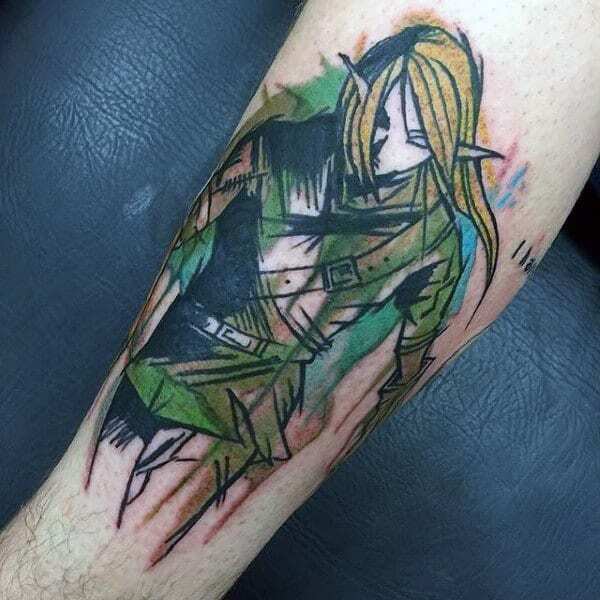 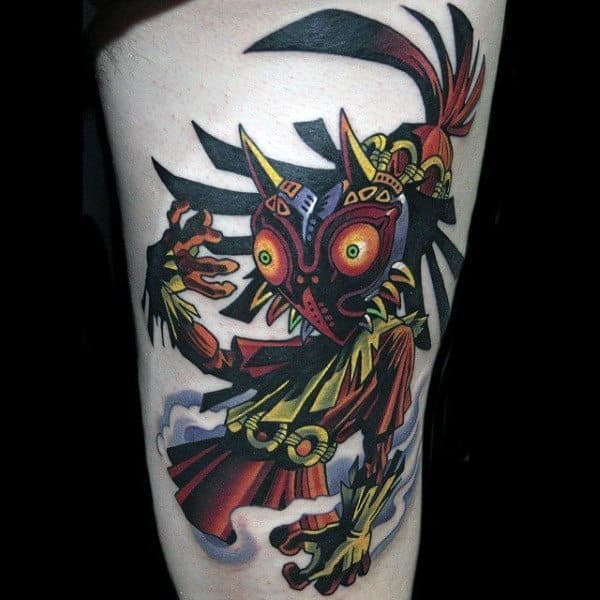 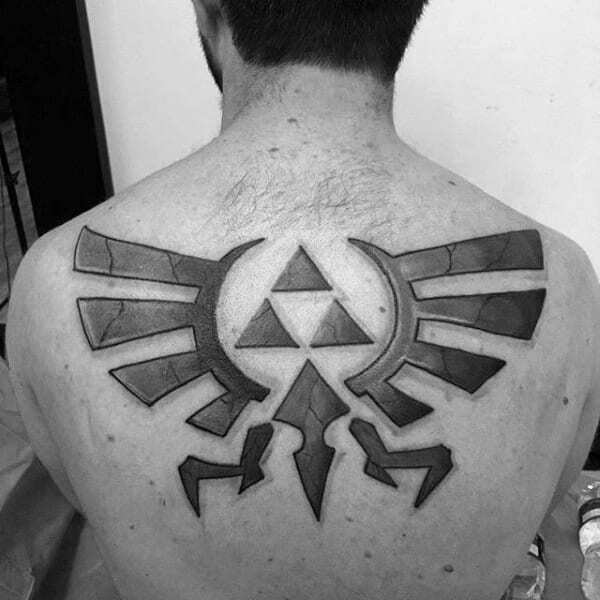 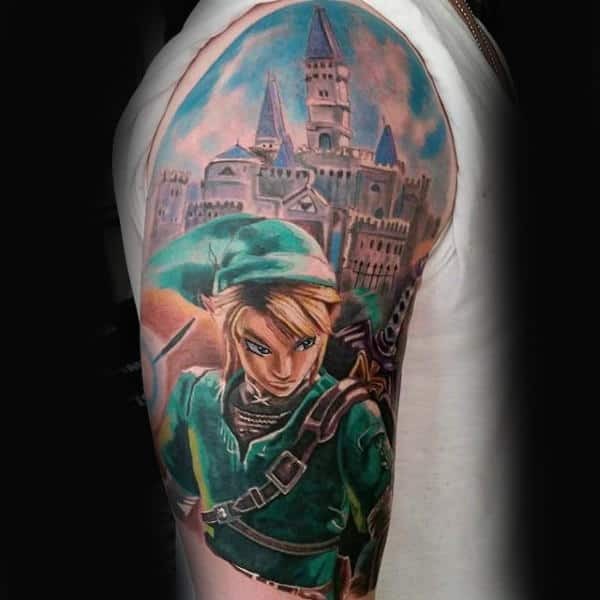 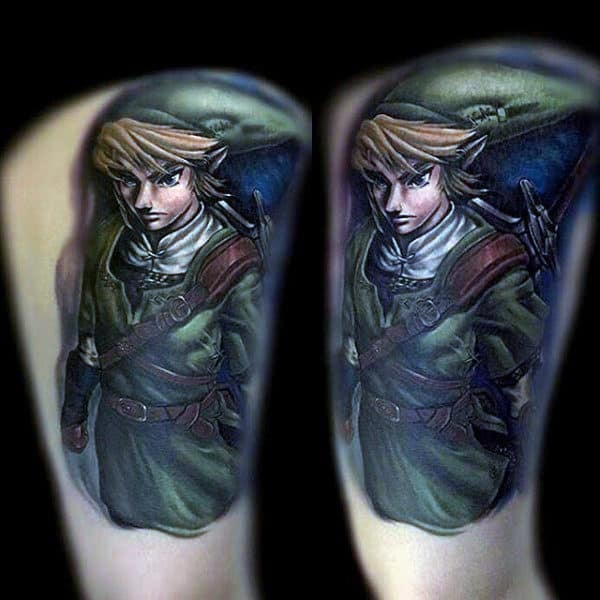 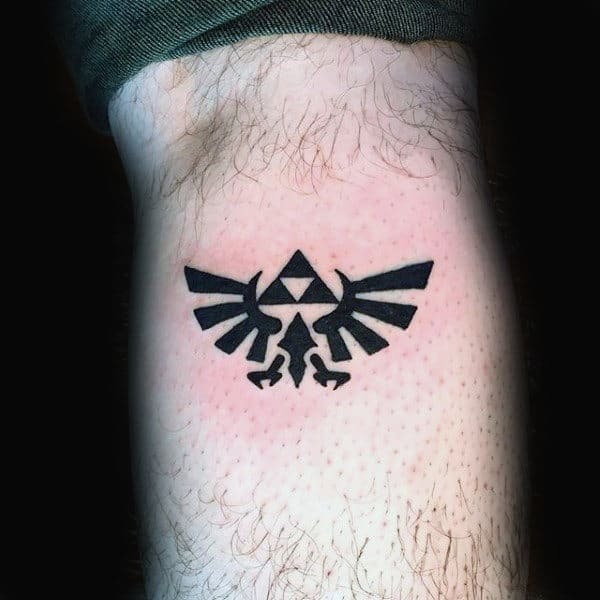 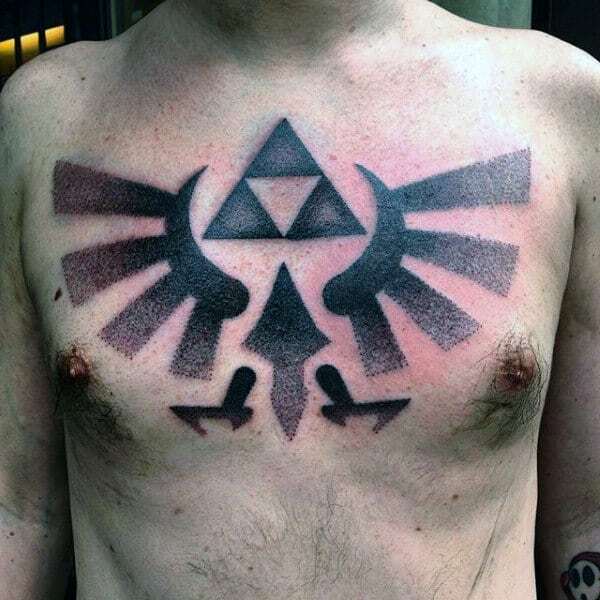 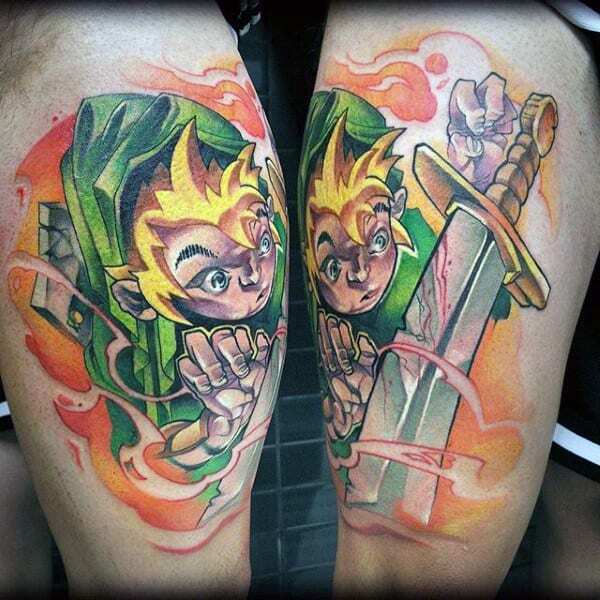 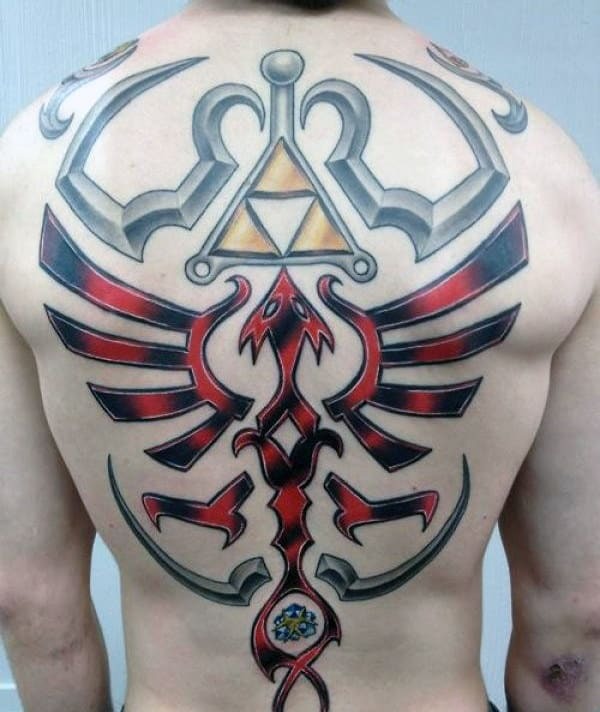 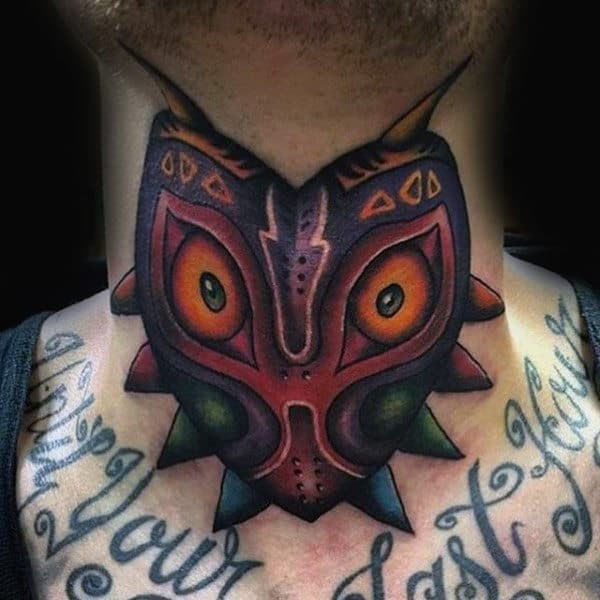 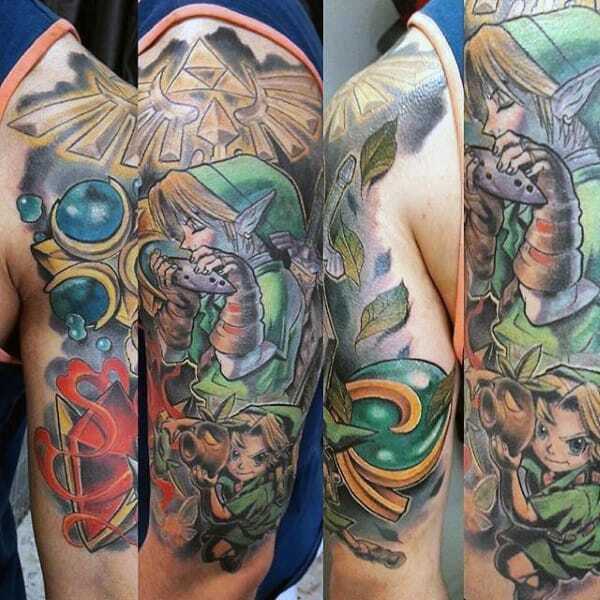 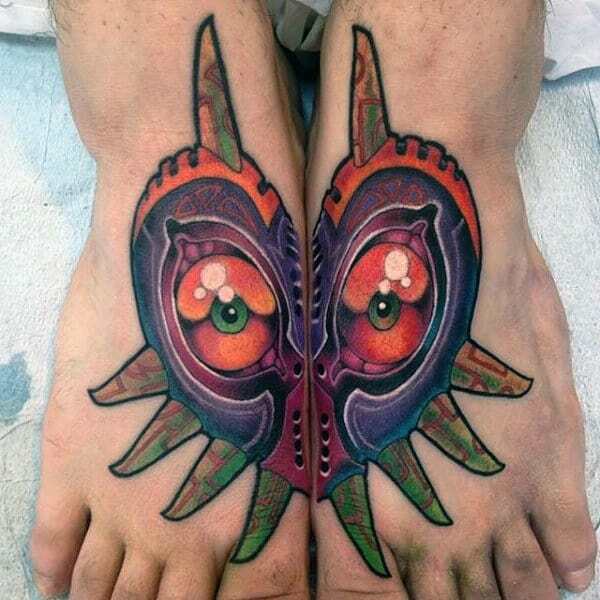 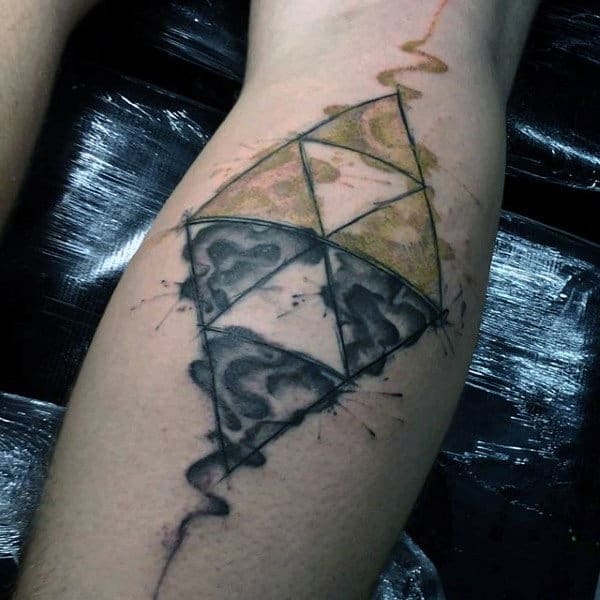 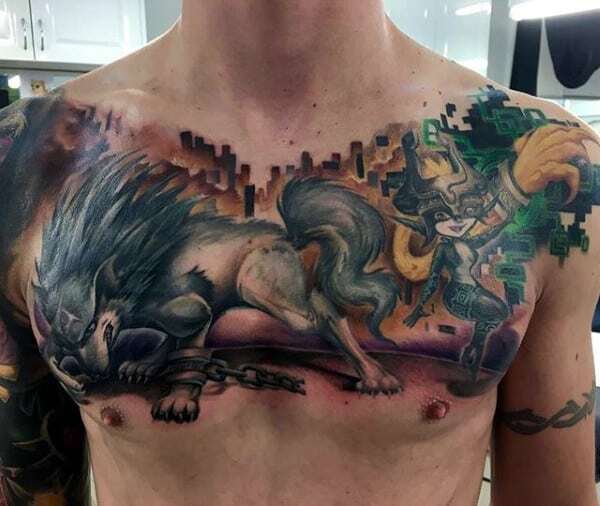 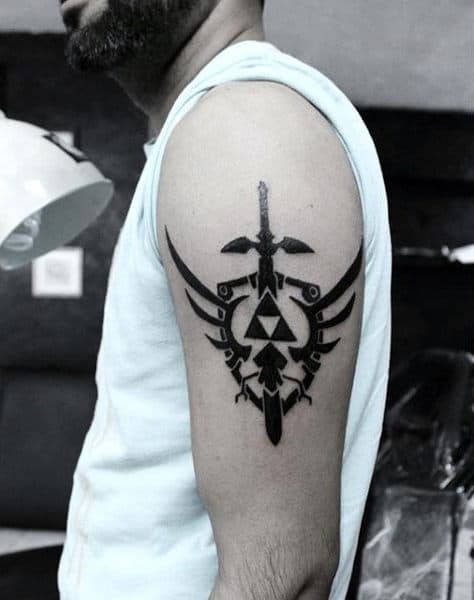 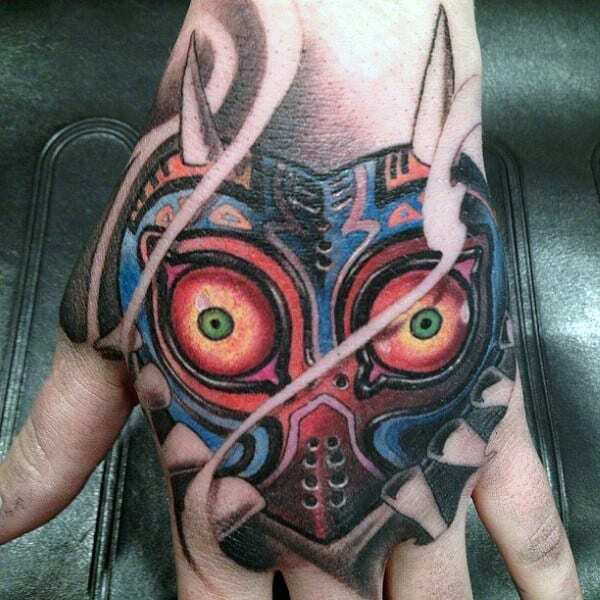 Video game aficionados are going crazy for Zelda ink, and there is infinite pizzazz to back up this titillating trend. 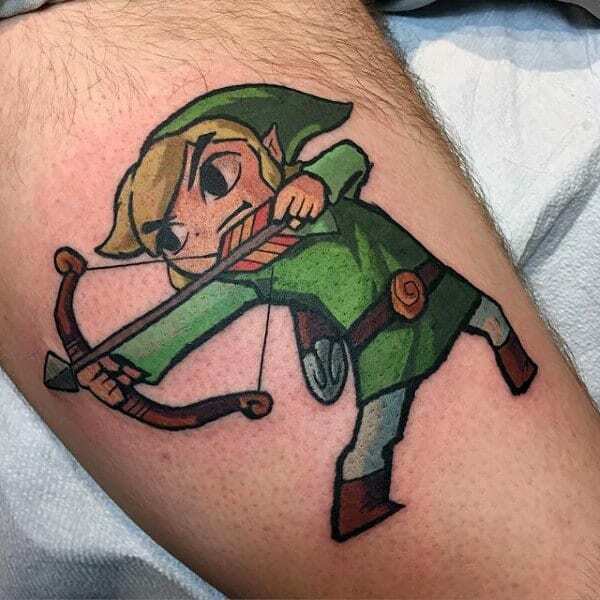 Nintendo’s iconic franchise has been thriving for decades, so there is plenty of compelling imagery to employ in determining your choice of illustration. 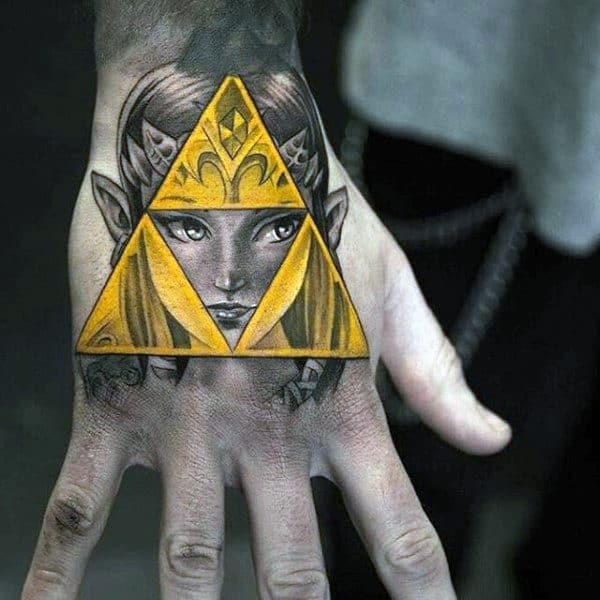 The land of Hyrule is loaded with legendary potential. 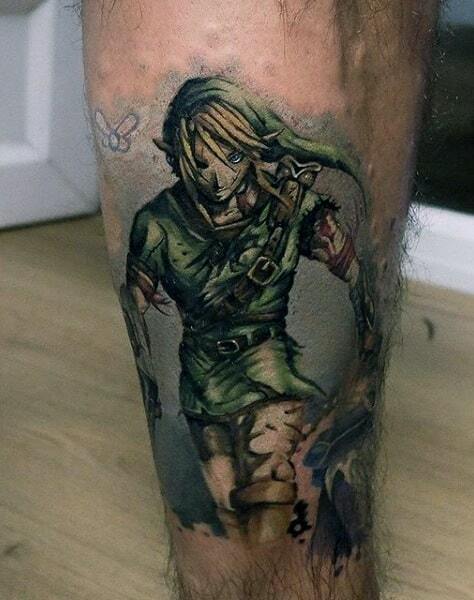 As the quest’s perpetual protagonist, Link is always a winning pick. 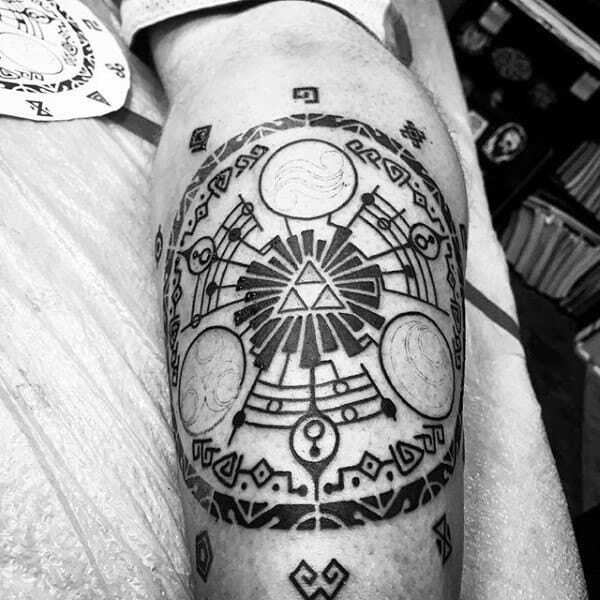 His Hylian shield contains idyllic tribal designs that are sleekly reprised in every adventure. 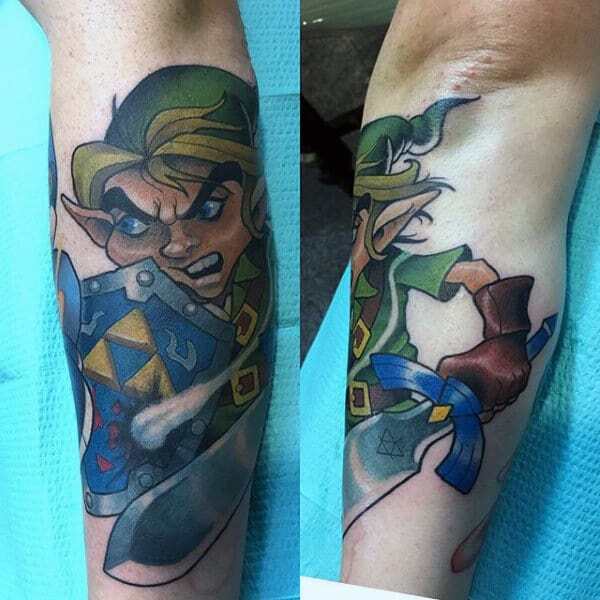 As the recurring villain, Ganondorf offers brute force to any iteration of ink. 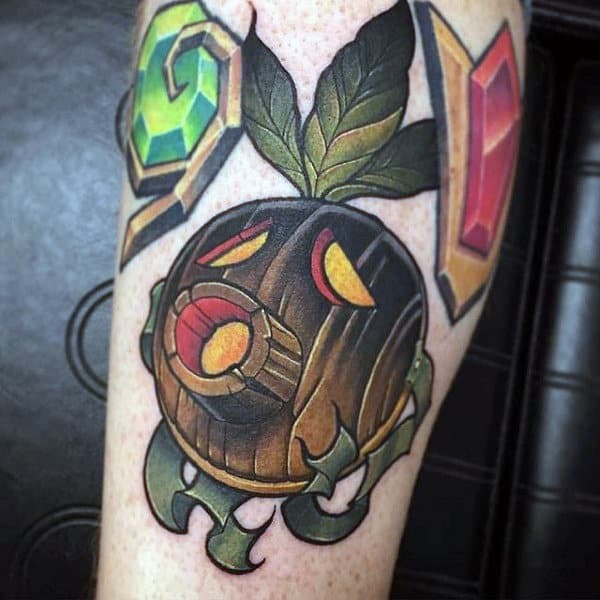 You also cannot fail with a Goron, Deku or Zora! 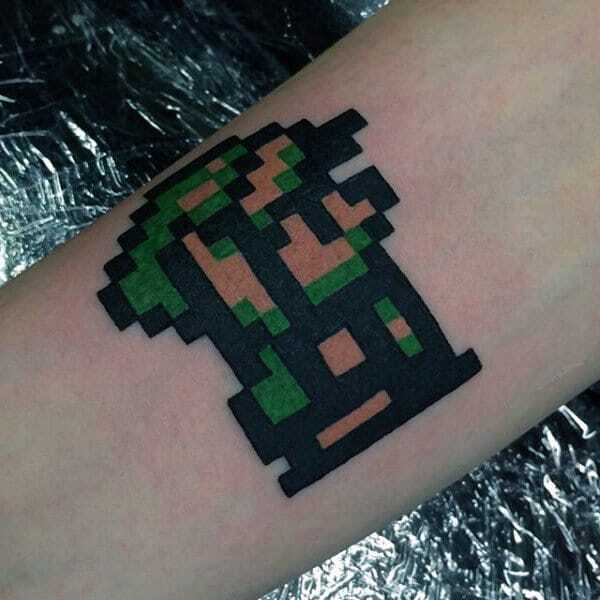 In addition to the main characters, there are endless bad guys and bosses to replicate. 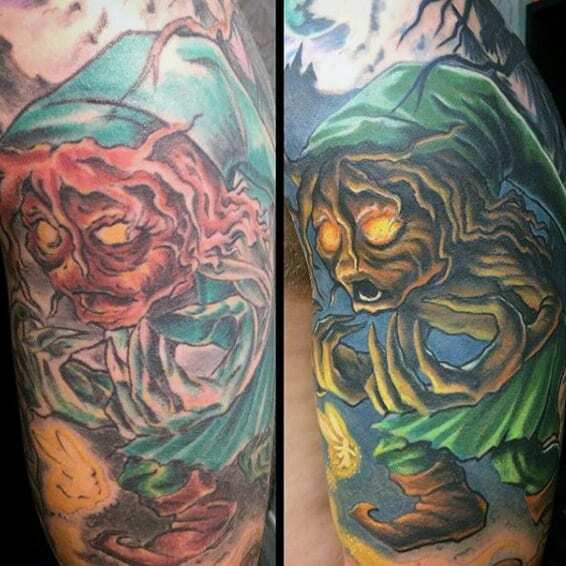 These fearsome enemies offer vigorous inspiration for those lured by the dark side. 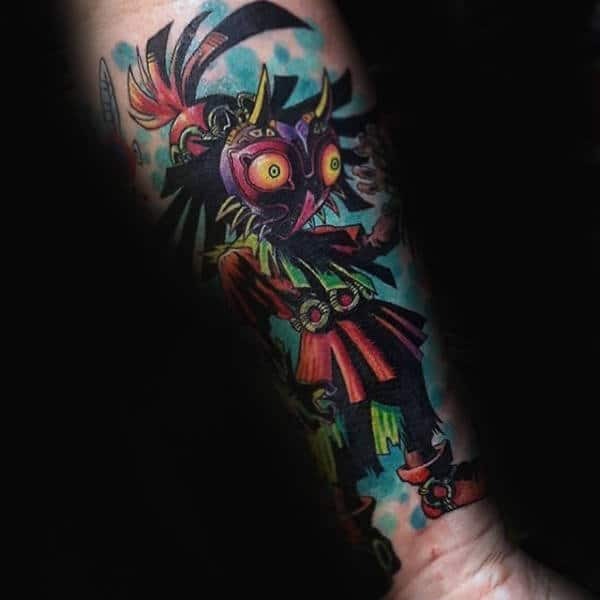 Gothic wit can be enshrined by designs stemming from Twilight Princess, and Majora’s Mask supplies a bevy of disguises for a sly digital masquerade. 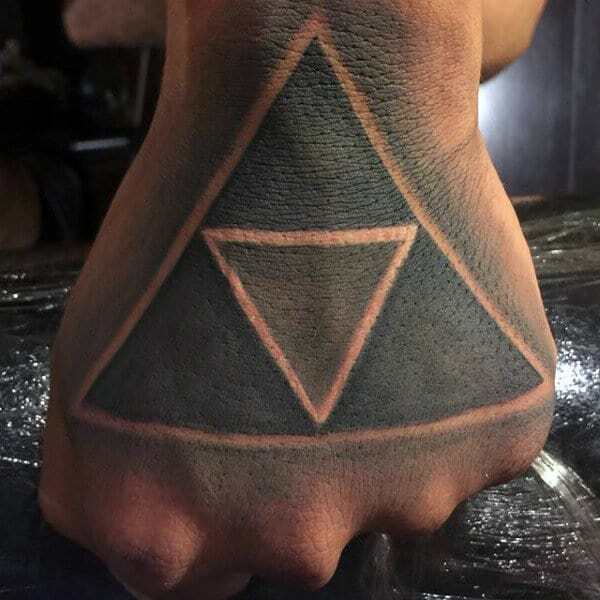 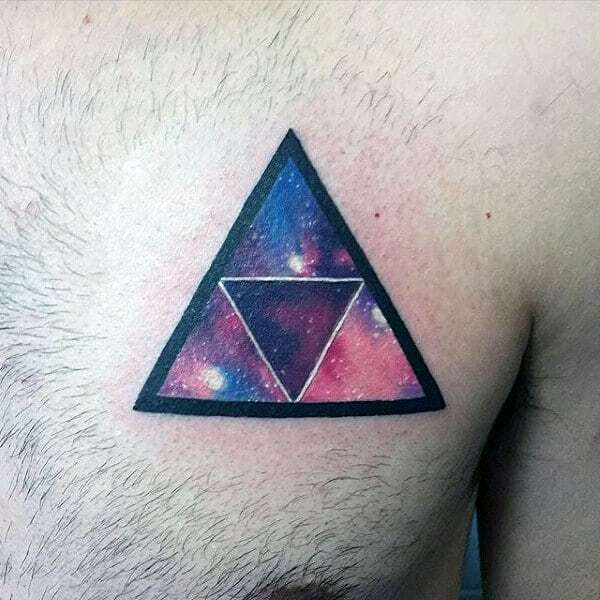 Furthermore, there is always the infamous Triforce. 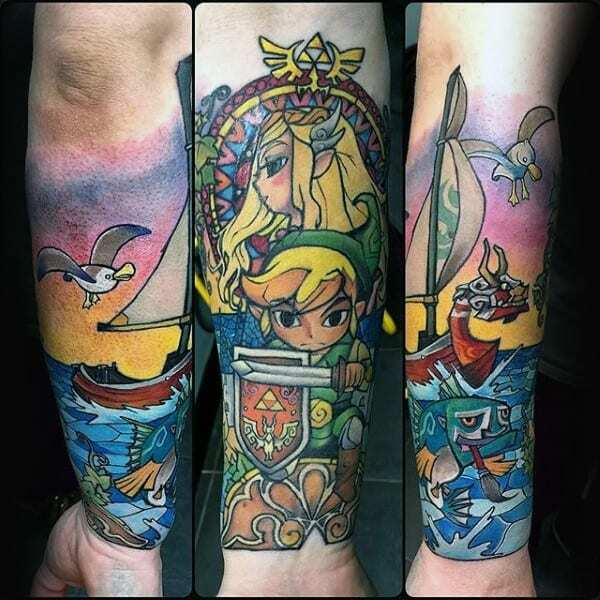 From pixilated panache to three-dimensional brio, the Zelda canon is packed with heroic options for inked glory. 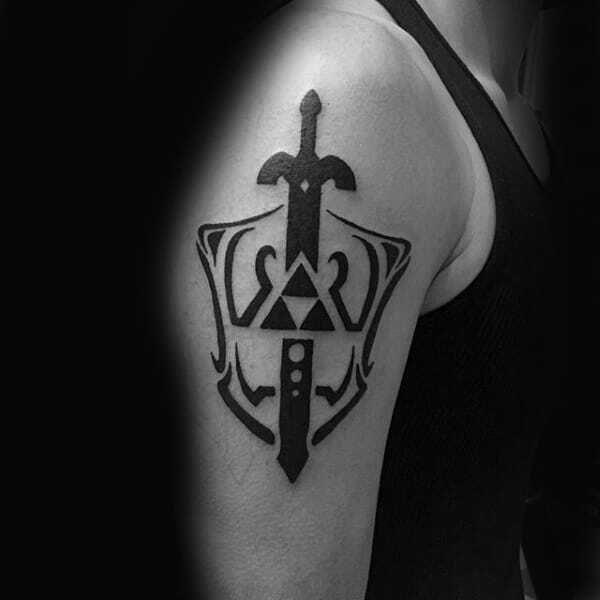 To achieve a tantalizing visual mastery, just add one of the following emblems to your inventory!